In just a couple more days, we will be bidding goodbye to 2017! I can’t believe how fast this year has gone by. Since in some way, shape or form the new year marks a new phase in all of our lives, I thought I’d take this opportunity to reflect on the many things I’m planning on doing in the new year! One of my biggest goals for 2018 is to live in the moment. This is something that I’ve always had a hard time doing- I’m a planner, and I always plan ahead. In many senses, this is a great thing. But it has also led to me not being the best at dealing with sudden changes in plans, and also has resulted in me not being able to enjoy the little moments. I realized earlier this year that because I put such a big emphasis on planning for the next moment, I always felt like I was living my life passively, waiting for the next moment to happen. Next year, my goal is to loosen up on planning a little bit and focus on actually doing. I have a list of places I want to visit during this next year, and a list of stuff I want to try as well, and while I’m going to use my planning skills to make sure I’m able to meet this goals, I’m going to actively enjoy my time as I’m doing them as well! One of the places that I want to visit next year is Lake Banff in Calgary, Alberta. I don’t care if I get there by plane, by car, or otherwise- I keep seeing photos of this beautiful place and I really want to go! Finding time to go all the way from Seattle to Lake Banff in Alberta is going to be a challenge, but going on local adventures is more doable and definetely something I’m going to try to do over the next year. My next goal for 2018 would definetely be making time to take care of myself. Like every busy person, I’ve always found it hard to make time to work out, to read, to catch up with the people I care about, and to eat healthy as well. But all of these things are important to me, and all of them are necessary in order for me to practice a healthy lifestyle. One of the best lessons that I learned in 2017 is that if something is important to you, you have to schedule all of your other time around it. So, if its important to you to make sure you get a work out in daily, schedule your workout first, and then schedule the rest of your day. If it’s important to you to see your friends on a regular basis, plan when you will see them before you plan anything else. On a similar note, having a doable schedule is really important for your mental health. The other day, I was looking at my class schedule for next quarter, and I started to realize that it might be as doable as I thought it was initially. At a glance, it doesn’t look like a have an insane number of things going on, but when I started adding up the amount of time that everything was going to take in my mind, I started to realize that if I tried to do everything, I would be too stressed to do anything. It’s not always possible to do everything that you want, and its definetely better to do well at a few things than to force yourself to give a mediocre amount of effort to everything. So my goal for 2018 would definetely be to schedule my time so that I can be my best at everything that I do. My goal for this blog would be to engage with you guys consistently and as often as I can. Let me tell you- I love writing for you all! Being able to write for this blog as allowed me to reach out to so many people that I would have otherwise never been able to meet. One of the best things about writing about mental health is that it has been so easy to form a community with other people that care about this topic, and every voice is a new opportunity to learn! I’m not sure who has checked out my blog in the last few days, but I’ve been hard at work structuring and restructuring it so that it reflects the community vibe I want it to have. 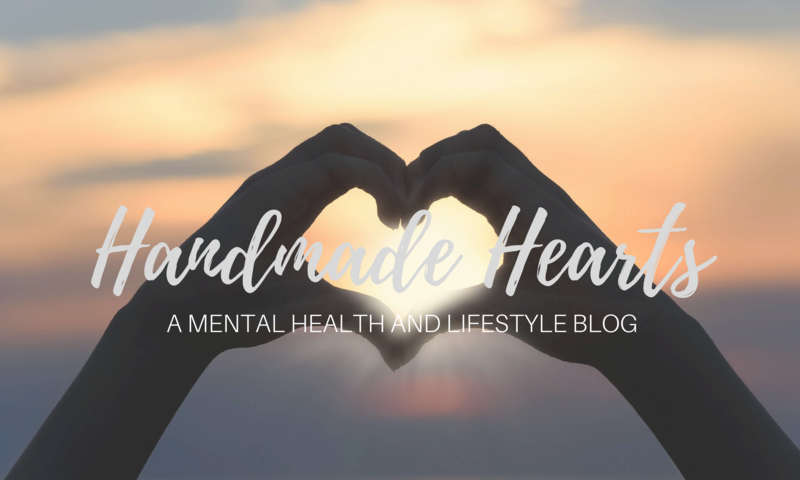 By visiting handmadehearts.blog, you all now not only have access to all of my posts, but also all of my social media outlets that are associated with this blog, including Instagram, Facebook, and Pinterest! Feel free to connect with me on any of those as well and help the community grow! The last goal I have for 2018 would be to work harder to embrace my identity as a woman of color. Maybe it was because of all the political turmoil going on in the United States over this last year, or maybe it was because of personal maturity. But I realized that one thing which has set me apart all of my life thus far is that I did not grow up around a lot of people who look like me. Don’t get me wrong- there are a ton of South Asian people in Washington State, especially around Seattle and Bellevue. But at least while I was growing up, there weren’t very many in my home town. I’ve always felt that maybe if there had been many brown people around me while I was growing up, maybe I would feel more comfortable in my skin. Even now, when I don’t live at home anymore and I know better than to simply embrace the status quo, it’s still hard for me to wear my hair naturally, or to feel comfortable when my eyebrows start to grow thicker before I get them done again. But over the last few months I’ve been looking in the mirror and realizing that the more I change about my appearance, the less I feel like myself. The challenges I’ve faced are very real, but nothing compared to the challenges faced by other women of color. So I guess apart from talking about my own experiences, my goal for the next year is also to learn about the experiences of other women, and how I as a woman and a person can help end the inequity that women face. But I hope that when I engage in that conversation in my blog, it will be a conversation- not a debate. Because I want my blog to be community oriented, I want to recognize that we all come from different places, we all have different backgrounds and we all have different stories to tell and different perspectives to offer. These are my goals for the next year. What are yours? Feel free to share with me by commenting down below! I hope that everyone has a joyful start to 2018.